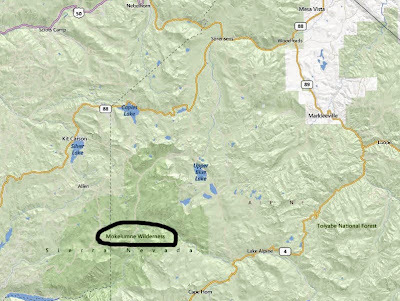 Snowmobilers need to know where they are riding, carry maps and check with the Ranger District Office before heading out in the backcountry. Four riders were recently cited for riding in the Mokelumne Wilderness in Alpine County, west of Markleeville. 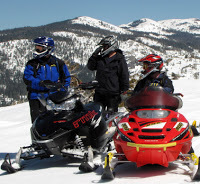 Snowmobilers typically ride in Alpine County from the Sno-Park off Highway 88 and Burnside Lake Road. You have to pay attention to signs that warn of closed areas. Wilderness areas are set aside to preserve their natural condition. Fines for entering closed areas can range from the hundreds to thousands of dollars, plus jail time. Make sure you have a Sno-Park parking permit before you go. Alpine winter recreation information is available on the Humboldt-Toiyabe National Forest Service website.